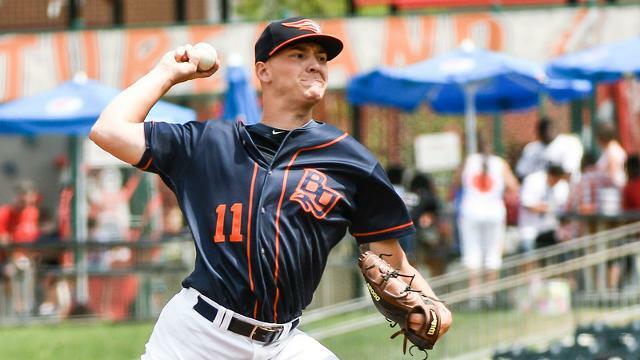 BOWLING GREEN, KY - For the second straight night, the Bowling Green Hot Rods raced out to a 3-0 lead on the West Michigan Whitecaps, and held on for a 3-1 win, earning a berth in the Midwest League Championship Series against the Peoria Chiefs. The Hot Rods jumped on the Whitecaps right away in the bottom of the first inning. 2B Vidal Brujan worked a lead off walk, and that was followed two batters later by a double from SS Taylor Walls . C Ronaldo Hernandez drove them both in with a single up the middle, giving the hosts a 2-0 lead. They added to the lead in the second. 3B Zach Rutherford led off with a single and stole second. After a sac bunt to get him to third, CF Carl Chester hit a ground ball through the middle to score Rutherford and make it 3-0 Hot Rods. West Michigan got a run in the top of the seventh on a pair of singles and a walk, making it 3-1. RHP Jhonleider Salinas pitched the eighth and ninth innings, earning the save. RHP Paul Campbell earned the win. He threw seven innings, allowing five hits and a run, walking one and striking out six. The Hot Rods will take on the Peoria Chiefs in the Midwest League Championship series. Game One will take place at Dozer Park on Wednesday and Thursday. First pitch will be at 6:30pm. Games Three through Five will take place at Bowling Green Ballpark. The series will be best three out of five. For tickets and more information, visit BGHotRods.com.